DOHA, Qatar —- The World Taekwondo Federation and the International Taekwondo Federation agreed on the establishment of a coordination committee to discuss integration matters of the two taekwondo bodies here on Dec. 2, 2006. The agreement was signed between WTF President Chungwon Choue and ITF President Ung Chang, the North Korean member of the International Olympic Committee. Under the pact, the two parties will set up the Coordination Committee for Taekwondo Integration, which will start on simultaneous discussions regarding the integration of technical and administrative aspects of the two taekwondo bodies. Both parties, however, agreed to first reach an agreement on the integration of technical matters before any decision can be taken on administrative integration, in respect of their initial agreement on June 28, 2005. The committee will consist of one co-chairman at the vice-presidential level and three to five members, including the chairman of the Technical Committee, from each party. The two sides also agreed that the operations of the committee will be decided through consultations between the two sides. The two sides met on four occasions in Beijing, China for the formation of the coordination committee. The first round of working-level talks took place on June 28, 2005, with the second and third rounds of talks on Aug. 30, 2005 and Feb. 24, 2006, respectively. The fourth and final meeting was held on Nov. 24-25, 2006. 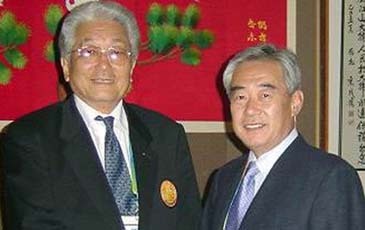 The integration talks between the two taekwondo organizations restarted after the meeting among the presidents of the IOC, the WTF and the ITF, at the IOC headquarters on June 3, 2005. On Sept. 20, 2006, the three met again at the headquarters of the IOC, where the IOC president coordinated the ongoing WTF-ITF talks. The IOC President proposed that the coordination committee start simultaneously discussions on technical and administrative aspects of the two bodies "under the condition that an agreement should first be reached on the subject of integration of technical rules before any decision can be taken on administrative merger integration." The talks on integration matters between the two taekwondo organizations date back to January 1982, when the two sides held their first round of talks in Vancouver, Canada. In 1980, the IOC recognized the WTF as the sole international body governing the world's taekwondo. On Aug. 20, 2003, the WTF and the ITF announced a mutual agreement on the integration matters of the two bodies during the 2003 Universiade in Daegu, Korea, but failed to materialize because of former WTF President Un-yong Kim's scandal.